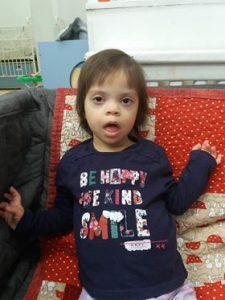 Little Valentina, is a cheerful and playful young lady aged 3 year and 6 months old ,Valentina was diagnosed with Down Syndrome and severe heart diseases which prevent her from being taken care of at home. Andrei, the latest addition to CID’s extended family living at St Margaret’s Hospice, has settled well to his new home and friends. 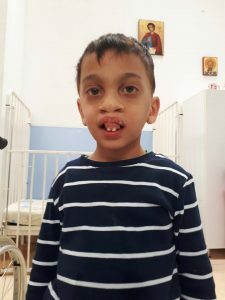 At the time of his arrival, in late May 2016, Andrei was an incredibly shy and timid child who wouldn’t dare to try to explore his surroundings. Slowly, he has become interested in everything around him and has started interacting with the other children and the centre’s care staff.